Add luxury to your kitchen with this Set of 6 Green Mermaid on White Waffle Weave Kitchen Towels. 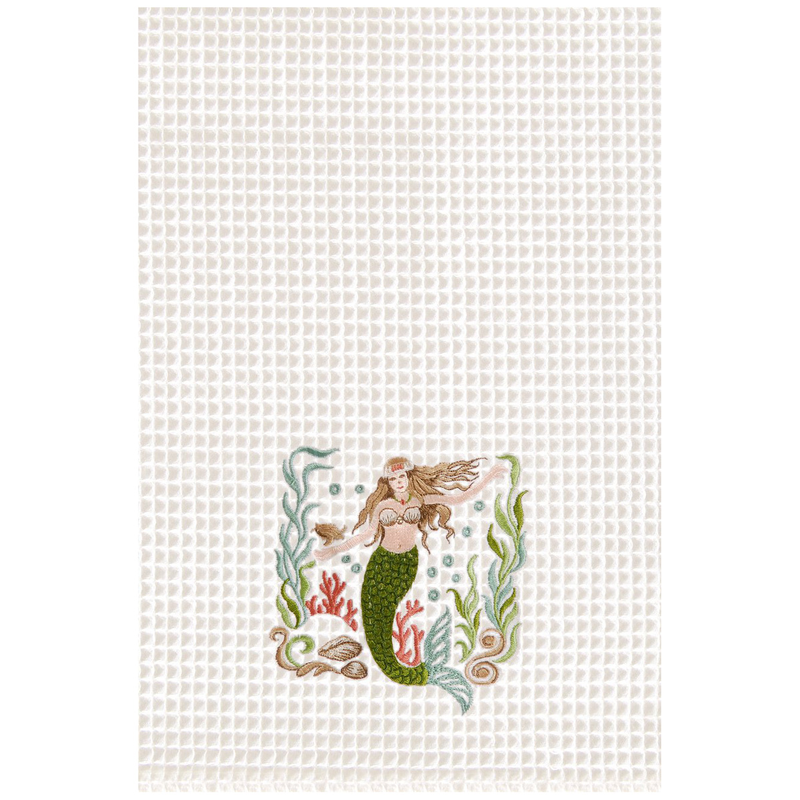 This coastal kitchen decor is accented with a colorful mermaid scene on white waffle weave for true seaside style. Ships from the manufacturer. Allow 1 to 2 weeks. Cannot express ship. For additional pieces, we invite you to make time to peruse our complete selection of coastal kitcen decor at Bella Coastal Decor today.